Unsigned case note, concerning the case of Mr Mackenzie. 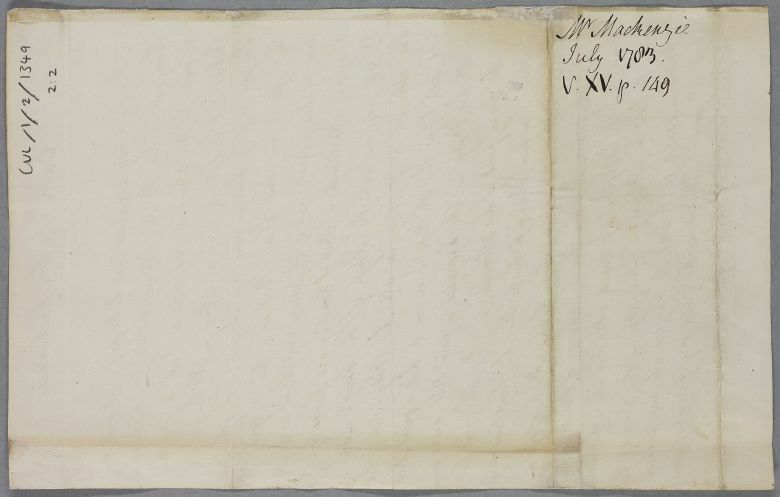 This letter was enclosed by James Macleod and sent to Cullen along with document 2291. It supplies a more recent account of Mr Mackenzie's symptoms. Mr Mackenzie suffers from asthma and a 'pain that never moves in the lower part of his Stomach'. The latter symptom is attributed to gout by the surgeon from Inverness who attended him (likely referring James MacLeod). 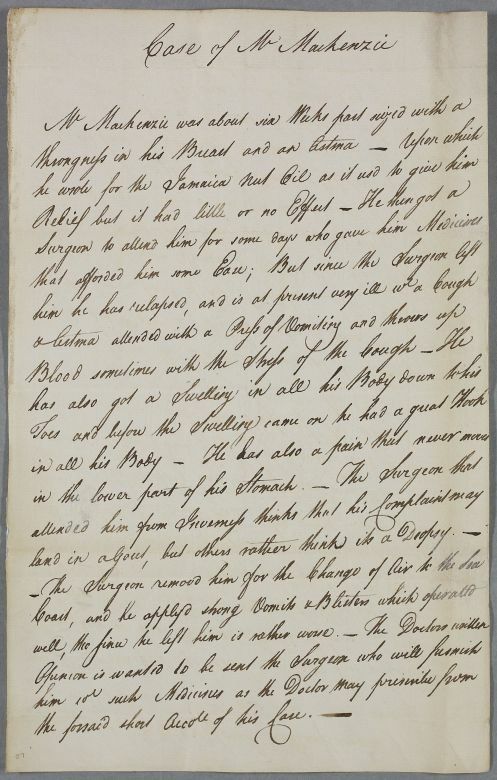 Summary Unsigned case note, concerning the case of Mr Mackenzie. This letter was enclosed by James Macleod and sent to Cullen along with document 2291. It supplies a more recent account of Mr Mackenzie's symptoms. Mr Mackenzie suffers from asthma and a 'pain that never moves in the lower part of his Stomach'. The latter symptom is attributed to gout by the surgeon from Inverness who attended him (likely referring James MacLeod). Case of Mr Mackenzie who has a cough, asthma and whose body is very swollen from dropsy.